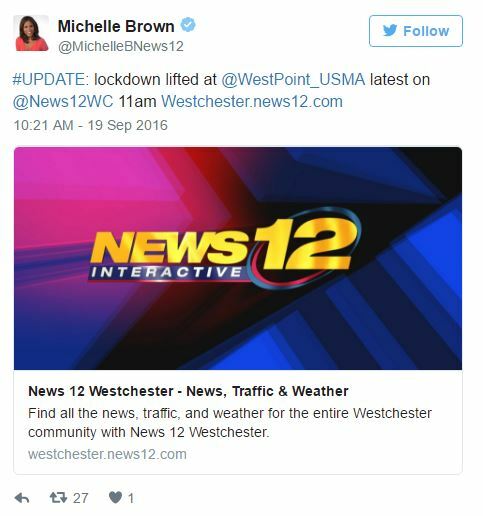 West Point Military Academy in West Point, NY went into a momentary lockdown after a car matching the NYC terror bombing suspect’s car reportedly breached the gates of the institution. Federal authorities recently released the photo and name of Ahmad Rahami, the individual they believe is responsible for bombing New York City and New Jersey on Sunday. On Monday morning a 2003 blue Honda Civic that was identical to the bomber’s car was seen entering through a security gate at the school. An unidentified motorists called New York State Police who responded promptly. The entire campus was searched and the vehicle was located quickly. Police confirmed that the vehicle did not belong to Rahami. The lockdown was lifted by 10:00 am. Rahami is a naturalized U.S. citizen from Afghanistan that was living in Elizabeth, New Jersey. 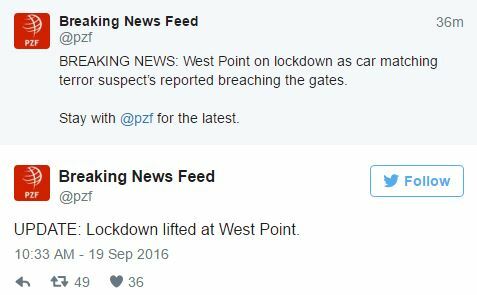 He was apprehended by authorities in Manhattan only hours after West Point went into lockdown.